Want to spice up that hat you’ve just knitted? Or a hat you’ve bought that needs a little customisation? 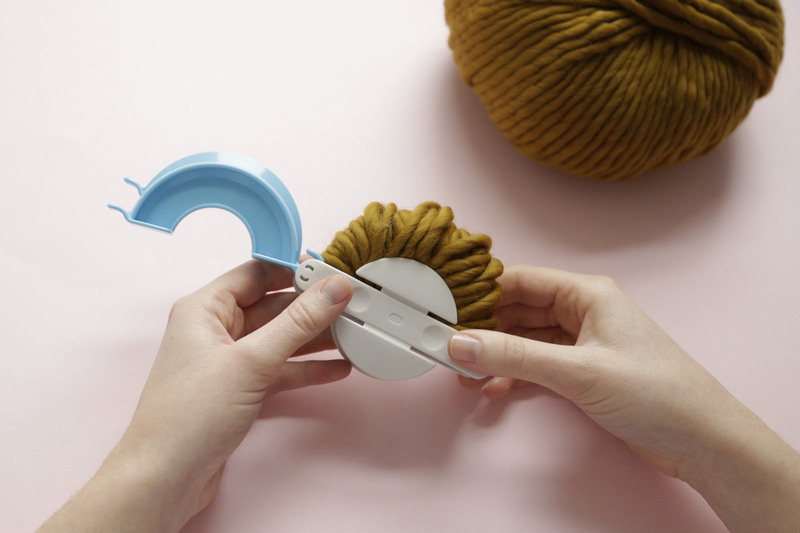 Using a pom pom maker you can make double the pom poms in half the time. 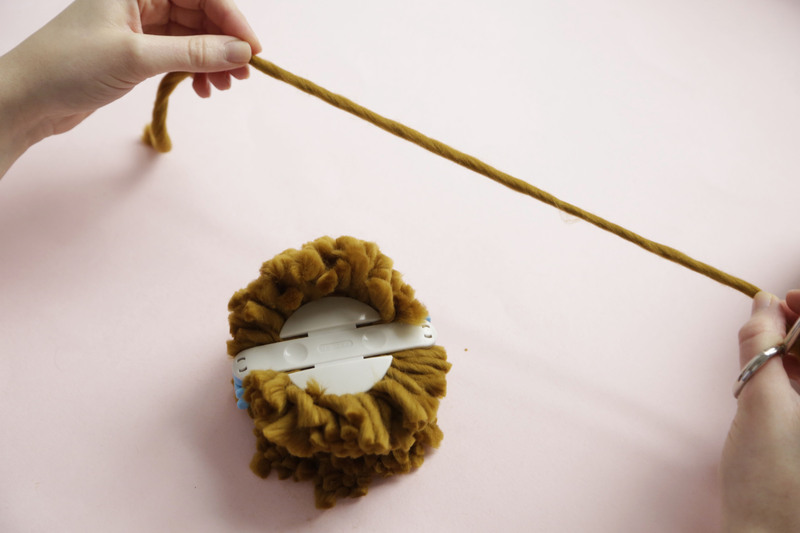 If you don’t own a pom pom maker yet, then read on and we’ll show you how to use cardboard to create them! 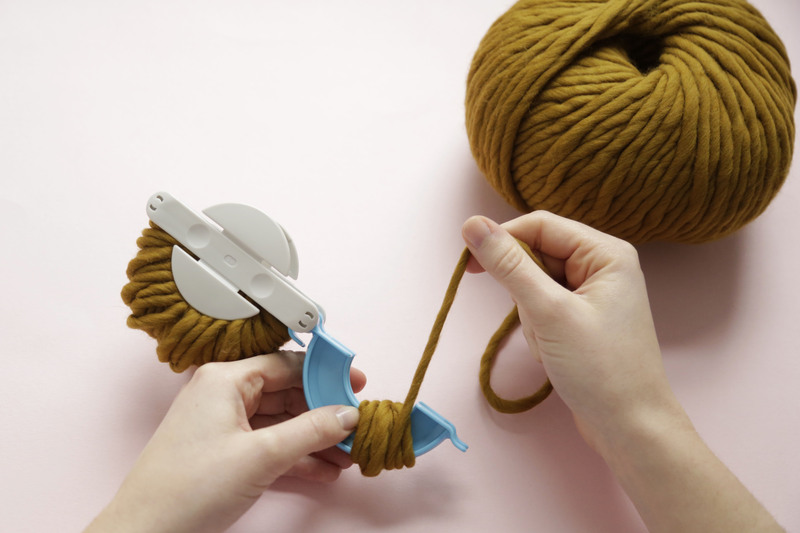 Fold out the first arm of your pom pom maker and wrap the yarn around the arm until it is full. 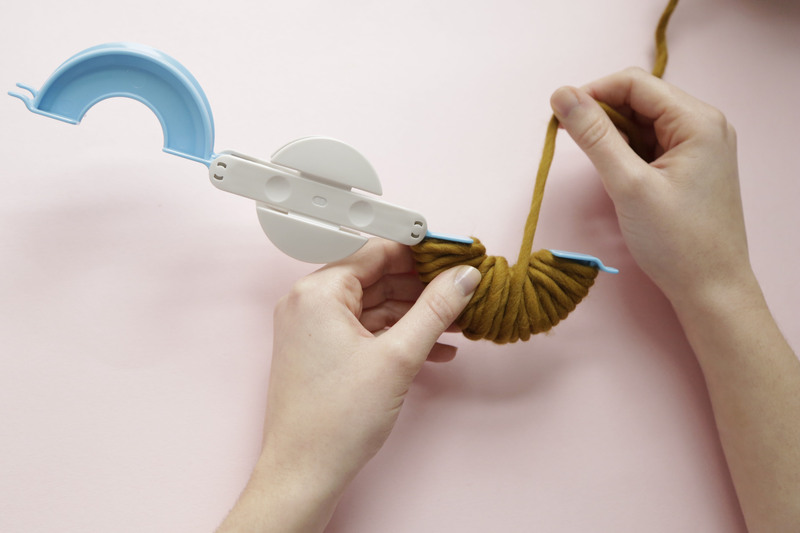 Fold the arm back in and cut the yarn from the ball. When it is full, fold the arm back in and cut the yarn from the ball. 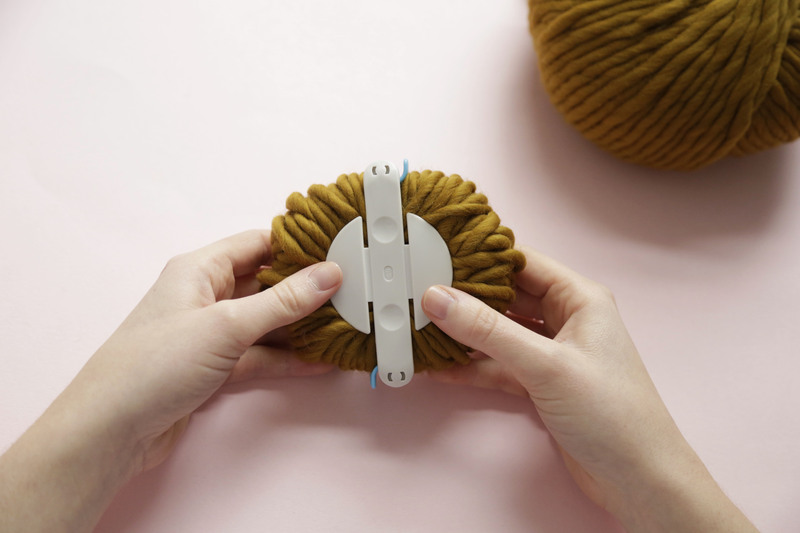 Fold out the second arm of your pom pom maker and wrap the yarn around it until it is full. 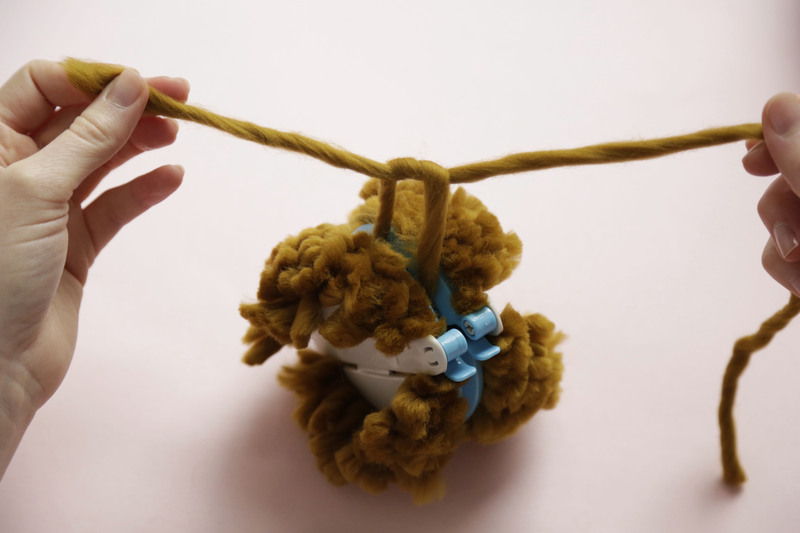 Fold the arm back in and cut the yarn from the ball. Holding the pom pom maker firmly closed, cut all along the outside edge of the maker, following the ridge between the two halves. Take a strand of yarn approx. 30cm/12’’ in length and wrap it between the two halves of the pom pom maker. Tie in a tight knot and leave the long strands long. 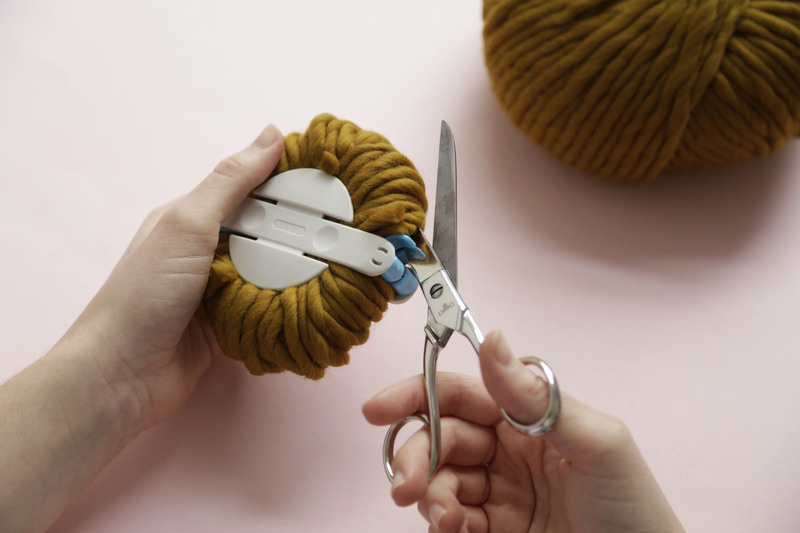 Remove the maker form the yarn by unfolding the arms and pulling the two halves apart. 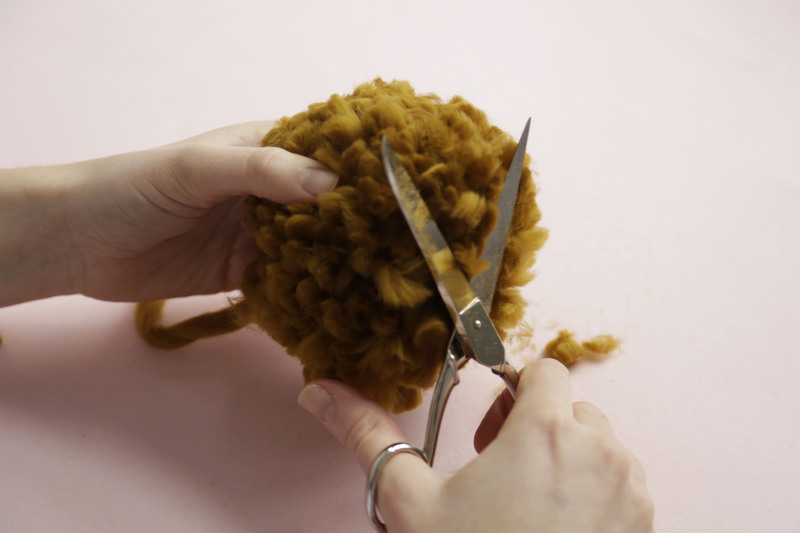 Tidy up your pom pom by trimming the shape with scissors but make sure you keep those two long strands long. 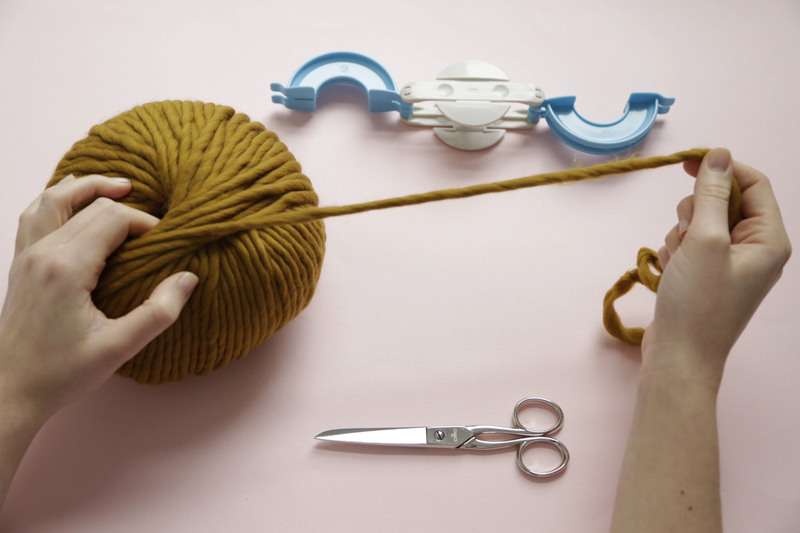 We hope you’ve enjoyed seeing how we make pom poms, and you get the hang of it! 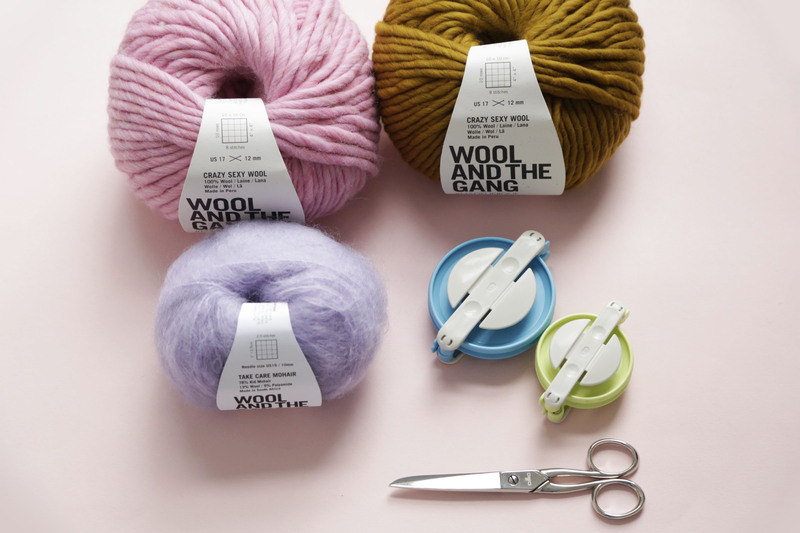 Let us know how you’re using pom poms via #woolandthegang Happy making!